The search giant is charging full speed ahead into hardware this holiday season with a host of new consumer devices, including headphones that can translate languages in real-time. Here's how they stack up. When consumers think of smartphones, speakers or headphones, Google is almost never the first company that comes to mind. The Alphabet (GOOGL - Get Report) unit is the king of internet search and digital advertising, but its attempts to break into the consumer technology space have historically ended with a whimper. There was the first generation Pixel phone, which was an all-around solid device, but simply failed to keep up with Apple's (AAPL - Get Report) iPhone. 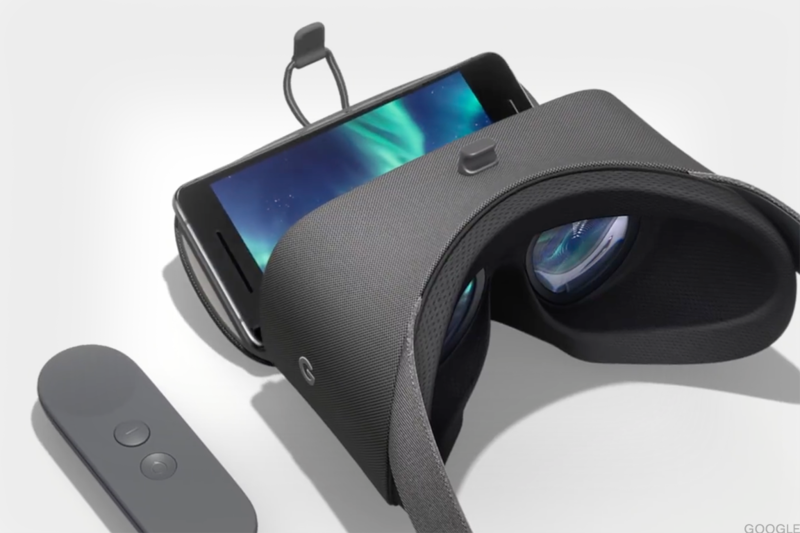 Other devices, such as the Daydream VR headset and the Google Home, haven't quite broken out yet, largely because the hardware market has been so competitive. In some cases, the technology hasn't reached a tipping point of mainstream adoption (here's looking at you, Google Glass). That hasn't stopped Google from trying, however. Quite the opposite, Google is going after hardware with brute force in its latest array of Pixel devices. The l line up packs eight different products, ranging from two new Pixel smartphones to a modern, compact cousin of the original Google Home. They all look and feel like Google products, with a simple and clean design; but it's also clear that Google Assistant is the focal point, as it's enabled in nearly all the devices. As a Google PR person told us, "you think of us as a software company, but we're also a hardware company." First, the bad news: You're not going to get an edge-to-edge screen, facial recognition technology or wireless charging like there is in the iPhone X. That being said, the Pixel 2 and Pixel 2 XL do check a lot of other boxes. Both devices have waterproof, organic LED screens with always-on display, a fingerprint scanner that's intuitively located on the back of the phone, and Active Edge technology that calls up Google Assistant by simply squeezing the device. Unfortunately, Google joined Apple in saying goodbye to the headphone jack; it did, however, introduce a brand new pair of wireless headphones that we'll get to later on. I appreciate that Google put the same, high-quality camera in both the Pixel 2 and the Pixel 2 XL, so that us smaller-handed individuals don't have to settle for crappier pictures by buying the smaller phone. 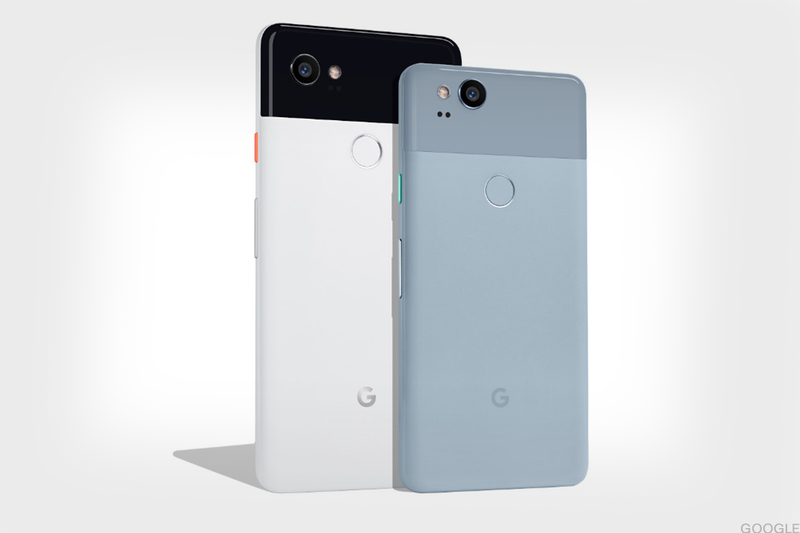 Google didn't follow Apple's lead in bringing dual-lens cameras to the Pixel 2 phones, but the Pixels do have Portrait Mode, which allows you to add depth-of-field effects, that even extends to the front-facing camera. Another nice feature: The Pixel phones come with unlimited Google Photos storage, so you don't have to worry about running out of room or, alternatively, shelling out $100 a year to increase your iCloud storage. The Pixel 2 and Pixel 2 XL are also the first devices where you can take Google Lens for a spin. The technology lets users point their camera at a landmark or object to get reviews and other information. It's worth noting, however, that Lens is still in beta version, so it's not entirely foolproof. Also, to my surprise, you can't access Google Lens in the Pixel's camera app; you can only use it after pictures are uploaded to Google Photos, which is a major downside, in my opinion. For a pair of wireless headphones, Google's Pixel Buds are every bit as much a futuristic innovation. By far the most showstopping feature is that, using Google Assistant, the Pixel Buds can provide two-way voice translation in 40 languages in real time (that's 1,600 possible language pairs, for those who are good at math). The technology appeared to work pretty seamlessly when it was demoed in front of me, and my editor was able to have a basic conversation in Mandarin with a Google employee translated perfectly using the Buds. There is one significant drawback, however: the Google Translate feature is only available if you have a Pixel phone, so that obviously leaves out all iOS users and a significant number of Android users as well (a Google product manager said the reason is that there's a lot of audio and other technology that had to be customized for the translation feature to work well and with as little latency as possible). Also, you can only use the Pixel Bud's Google Assistant features on some Android phones. 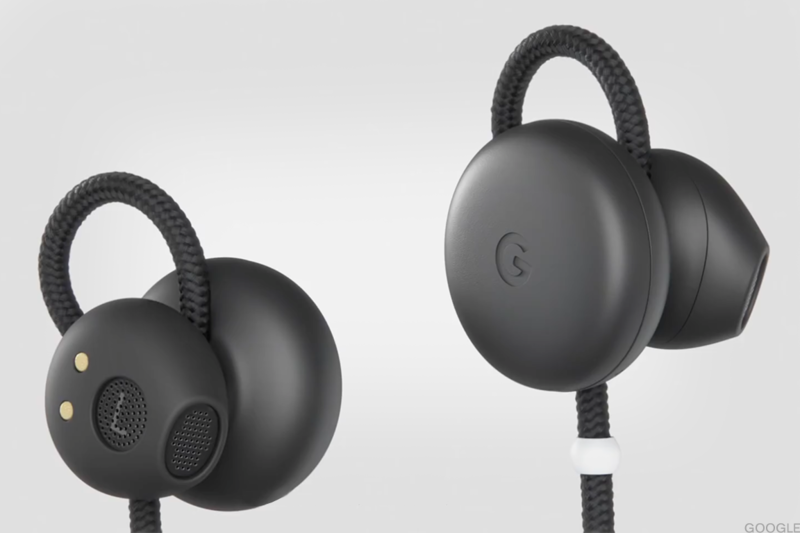 All of which means that to take full advantage of the Pixel Buds' capabilities, you're going to need a Pixel phone. As an iPhone user, they're still pretty enticing to me because they appear sturdier than Apple's AirPods. Significantly, the Pixel Buds are attached to each other by a smooth, fabric-covered wire that sits comfortably behind your neck, so they're much harder to lose than the fully wireless AirPods. 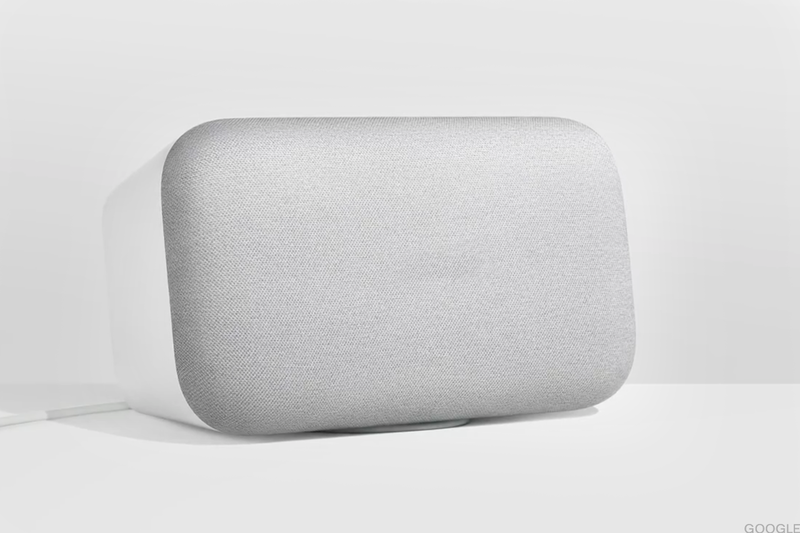 The Google Home Mini is Google's answer to Amazon's (AMZN - Get Report) wildly popular Echo Dot. It's smaller than its predecessor, the original Google Home, but it can handle pretty much all the same tasks. 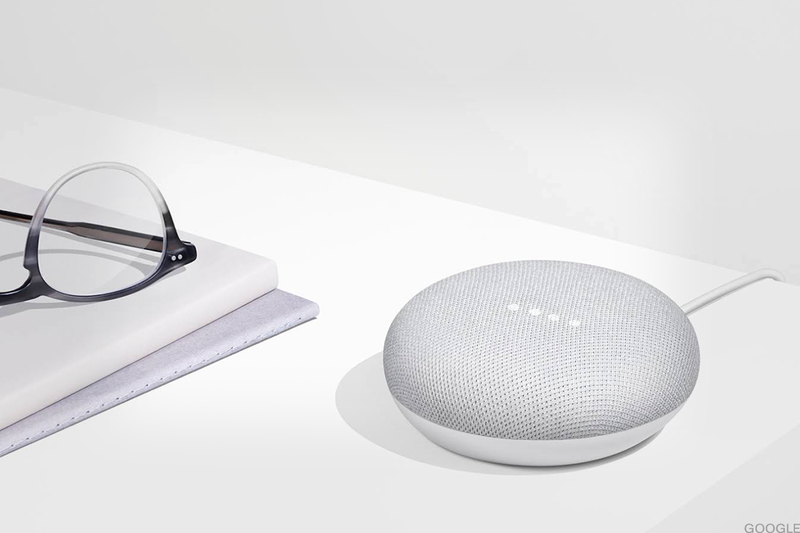 And at $49, the Mini is crazy cheap, so Google likely envisions that people will buy two or three of them to place all over their homes or apartments. Having one of these in a couple rooms would be especially helpful if you've got other smart home devices, such as IoT-enabled light bulbs, thermostats, etc. One thing that is increasingly setting Google's devices apart from Amazon is that they simply look better. Amazon's Echo devices tend to appear machine-like and plastic-y, while the Home doesn't seem like a piece of technology at all. It's covered in a soft fabric and has subtle lights that show up when the user interacts with Assistant. Admittedly, the softer lights can make it hard to tell when the device is activated, whereas it's almost impossible to miss when the Echo responds to my voice. Another small drawback is that the Mini's audio quality is pretty mediocre. I like to connect my Echo Dot to a third-party speaker to make up for the device's substandard speakers, but you can't do that with the Home Mini because there's no auxiliary ports. You can connect to other devices via Chromecast, however. If the Home Mini didn't satisfy my music listening needs, the Google Home Max is certainly suited for the task. The device was a lot bigger in person that I had anticipated, but that's definitely a result of the fact that the Max is packed with two 4.5-inch woofers and a range of tweeters for optimal sound range. The Home Max is meant to compete with Apple's HomePod smart speaker as well as the Sonos smart speaker, and it clearly does just that. The Max comes enabled with Assistant, meaning that its smart sound and room equalization technology (volume and quality that adjusts based on your surroundings) will improve automatically with every software update. Hipsters and audiophiles will be happy to know that the Max can even connect to your record player using a 3.5mm jack. I've seen a ton of people asking the same question: Who's going to buy a $1,000 Chromebook? And I have to admit, I found myself wondering the same thing. 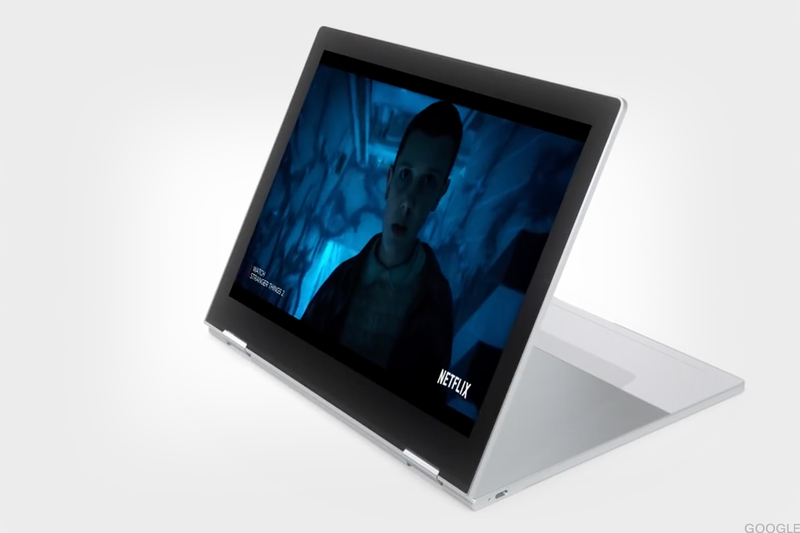 The Pixelbook is a laptop that can be folded into a tablet or propped up onto a stand. The Pixelbook Pen ($99) is sold separately, but it enables a lot of the fun writing and drawing features. Google Assistant is also built into the Pixelbook and can be activated with your voice, a key or with the PixelPen, the last by circling words or images on the screen. The text commands are optimal for if you're in a meeting and don't want to talk out loud to Assistant. Again, though, I'm not sure who is going to buy this. It has many of the benefits of a tablet, but it seems hard to justify spending $1,000 on a laptop that's still mostly a browser-only operating system. My experience with VR headsets is admittedly quite limited, but I was blown away by the latest version of Google's Daydream headset. Like the Home Mini, the Daydream View is reasonably priced at $99, which is a modest discount to its nearest competitor, the Samsung Gear headset ($129). Others products cost significantly more, such as Facebook's (FB - Get Report) Oculus Rift ($399) and the HTC Vive ($599). Compared to other headsets, like the Oculus Rift, which can be pretty cumbersome, the Daydream is much more intuitive and user-friendly. Its simple clicker remote makes it easy to use and the cloth materials make it surprisingly comfortable. 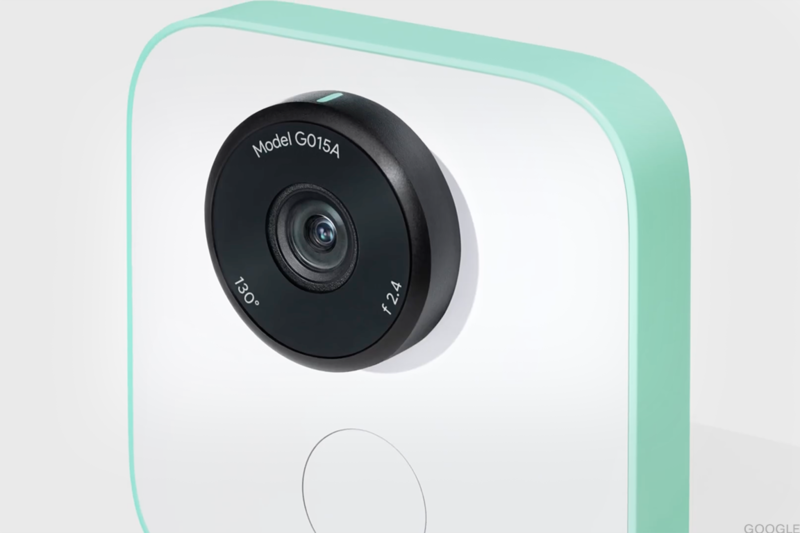 Google is trying something totally different with Google Clips, which is meant to stand in for your smartphone when you want to take hands-free photos. Again, Google snuck in some artificial intelligence features here, too. The Clips lens uses machine learning to detect things it deems "interesting" around you and will automatically snap photos. Google says that it's meant to capture more candid, unexpected moments that a smartphone might otherwise miss. For those worried about privacy, any live photos shot by Clips are stored locally on the device, so you don't have to worry about them being uploaded to the cloud. Any time you want to access them, just open the Clips app, where you can edit and delete any clips. At $249, a hands-free camera seems like it would be a bit of a hard sell to most consumers, especially as many are already armed with their smartphone. Unlike most Google products, however, it can pair with the iPhone, so if you're looking for an extra pair of hands, Google Clips might be your answer. Facebook, Apple and Alphabet are holdings in Jim Cramer's Action Alerts PLUS Charitable Trust Portfolio. Want to be alerted before Cramer buys or sells FB, AAPL or GOOGL? Learn more now.